Amidst discussion of the Internet of Things, Fenwick McKelvey studies the Internet as Things. Investigating the machines, bots, artificial intelligence, algorithms, and daemons that make up the Internet’s infrastructure, his research takes him from debates at the CRTC to data centres and from Gilles Deleuze to John Dewey. His recent and ongoing studies have focused on the daemons that manage Internet flows and their role in Network Neutrality debates, the new software and social media platforms that mediate political engagement, and the algorithms and AIs that govern the discoverability of online content. Dr. McKelvey is an Associate Professor in Information and Communication Technology Policy in the Department of Communication Studies at Concordia University. To understand the influences, controls, nudges, and optimizations of the Internet as things, he draws on a range of scholarly work in communication studies, media studies, science and technology studies, and political economy. 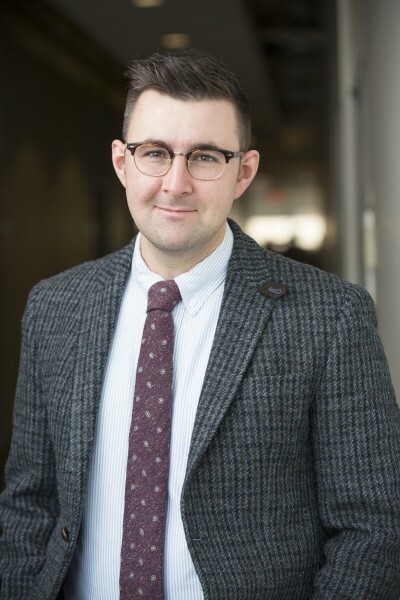 His resulting research has been published in journals including New Media and Society, the International Journal of Communication, the European Journal of Cultural Studies, and the Canadian Journal of Communication. He is author of Internet Daemons: Digital Communications Possessed (University of Minnesota Press, 2018). He is co-author of The Permanent Campaign: New Media, New Politics (Peter Lang, 2012) with Greg Elmer and Ganaele Langlois. He holds a PhD in the joint program of Communication and Culture between York University and Ryerson University. Whenever possible, McKelvey participates in public debates and issue-driven discussions related to the Internet as things, frequently serving as a commentator for a variety of media organizations, including CBC’s Power and Politics and The National, The Globe and Mail, the National Post, and the Montreal Gazette, among others. I am part of this great department. I’m a member of this interdisciplinary research center engaging with the historical development of media change and communication. An institute for research-creation working at the intersection of design, art, culture and technology. I was a researcher with the Centre. Copyright © 2019 Fenwick McKelvey. Powered by WordPress. Theme: Spacious by ThemeGrill.